…Each one-of-a-kind design is meant to last for generations. 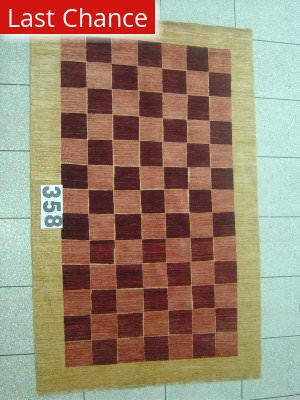 This particular rug features a wonderful checkerboard pattern woven in red tones from brick to burgandy. It is finished off with a wide beige border. Due to long production times, immediate shipment is available only in the sizes listed.